France’s Justice Minister Christiane Taubira has resigned shortly before plans to strip people convicted of terrorism of their citizenship go before parliament. Christiane Taubira was known to disagree with the controversial proposals. The citizenship plans were put forward after the November 13 Paris attacks in which 130 people were murdered. “Sometimes staying on is resisting, sometimes resisting means leaving,” Christiane Taubira tweeted. 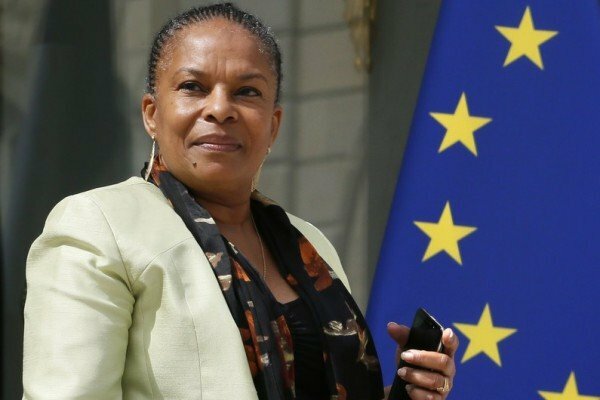 Christiane Taubira, one of France’s few senior black politicians, has been replaced by Jean-Jacques Urvoas who is seen as a supporter of the constitutional change and an ally of PM Manuel Valls. Born in French Guiana, Christiane Taubira, 63, has suffered racist taunts from the far-right during her time as justice minister. Her left-wing leanings have put her increasingly at odds with official policy, especially after the November attacks – when the president announced a much tougher line on terrorism. A communiqué from the Elysee Palace said that President Francois Hollande had accepted the justice minister’s decision to resign. “They agreed on the need to bring her role to an end at a time when debate on constitutional revision begins in the National Assembly, today,” the statement read. Manuel Valls presented the reforms before a committee at the National Assembly on January 27 before they were due to go before parliament next week. The reforms include the right to declare a state of emergency under the constitution, which would make it easier for the French government to adopt strict powers such as police raids and house arrests. The government aims to extend the three-month state of emergency imposed after the November attacks when it expires on February 26. In his communiqué, President Francois Hollande praised Christiane Taubira’s part in pushing through same-gender marriage laws. Last month the justice minister made plain her distaste of the plan to strip citizens with dual nationality of their French citizenship, arguing it “would not help the fight against terrorism in any way”. Christiane Taubira said the plan was being dropped only for it be announced the following day by the prime minister with her appearing beside him. Manuel Valls described the reform as a “strong symbolic act against those who have excluded themselves from the national community”. The proposals put by Manuel Valls before the National Assembly committee on Wednesday made no mention of dual nationals, apparently in response to criticism that it could lead to two types of nationality and to people being stigmatized. However, the French government has made clear that no-one should be made stateless as a result of the reform, implying that it could only ever be used against people with dual citizenship.